A sampling of what our residential and public clients have to say about WCA. 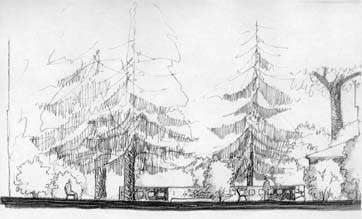 “ Four years ago when St. Paul’s Church in Stockbridge was looking at having a memorial wall built and our grounds landscaped, we interviewed several landscape architects. We chose Walter Cudnohufsky Associates, Inc. because they were clearly the most creative. When Walt and one of his associates met with a group from the church they listened, asked questions, and listened some more. 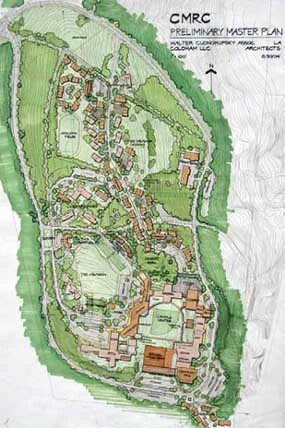 They were able to take our ideas and create a vision for our entire property. The result was offering a plan that went far beyond our expectation and generated excitement throughout the parish and community as well. “ I have worked with Walt for 7 years. From the earliest conception of my property to the present, Walt and his team have been creative, diligent, accountable, and accessible. Walt and his entire team worked with me. By that I mean they would present a scheme, we would discuss it, Walt would get my feed back and go back to the drawing board. Walt's Landscaping imagination created a total environment. He organized all the landscape contractors and oversaw what they did. Each year someone from Walt's office comes and checks the property and discusses the situation with me and the gardener and we continue to clean and shape the environment. “ I just saw the boards. They're tremendously inspiring and will be a big help as we start a conversation with the Masons and others. “ I am happy to report Shirley and I are still very satisfied customers. Our experience with your firm has been nothing but positive and I look forward to working with you, Chuck and Andy in the coming years. I have learned that the landscaping job, unlike the construction of the home, is never complete. “ We have had the fortunate opportunity to work with lots of consulting people on various projects we have done in our homes, and at the top of that list - in terms of creativity, ease, foresight and insight - is you and your wonderful team.. The piece of "art" that you designed for our landscape in Massachusetts has provided us with more pleasure than we ever would have imagined. Your communication skills allowed for an open and easy relationship to develop, which made working together such a joy. You understood our concerns, and proceeded to take them into account when expertly designing our space - using texture and variety along with architectural elements to enhance our very difficult property. Your playful desire for surprises at every turn still brings smiles to our faces and you should be happy to note that the environment you created on the outside is part of our everyday living as the outside and inside of our home are treated as one. “ A few summers ago, we hired Walter Cudnohufsky Associates to do an extensive project at our home in Great Barrington, Massachusetts. 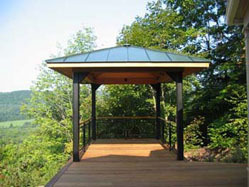 The firm had been recommended to us by a friend and neighbor in the Berkshires after we admired his new deck and pool area which had been done by WCA. Our experience working with Walt and his team was pleasurable and satisfying from start to finish. From the beginning, Walt took into account our needs and desires while at the same time creating a design for us that enhanced our property and the structures on it. 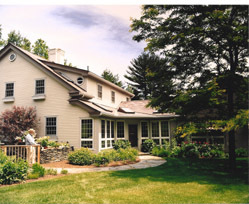 He and his associates were creative, responsive, and thoughtful throughout a long process of designing and building an upper and lower deck, a screened-in porch, garden areas, walkways, stone walls, and a complicated, unique fence around our pool area. "The WCA team is attentive, responsive, personable, excellent listeners, and great facilitators for discussions and dialogue. They respect our limited budget constraints and they explore alternatives." 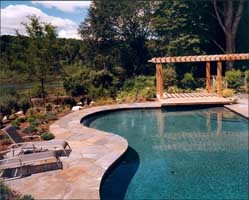 "WCA are highly accomplished landscape designers. Walt is Bruce's primary collaborator in visionary long-term planning. He brings to the team a sensitivity and experience in shaping the landscape that completely aligns with our vision. Walt and his team are masters of process and supplement our abilities to work with complex clients and design challenges." "Valley Environmental Services has established a close working relationship with Walter Cudnohufsky Associates on both large and small projects, from public utility projects to municipal projects to single family residences. We appreciate their creative thinking, helping clients to create an environmentally friendly solution that emphasizes the sustainable. This is a unique and rare quality that serves well both client and the natural world."